FloraGLO® Lutein is the leading and most researched lutein ingredient brand sold worldwide. As someone who is visually impaired, it's also important for people to know and understand there are ways they can keep their eyes healthy now and help reduce the risk of eye conditions as they age. Kemin Health, L.C. 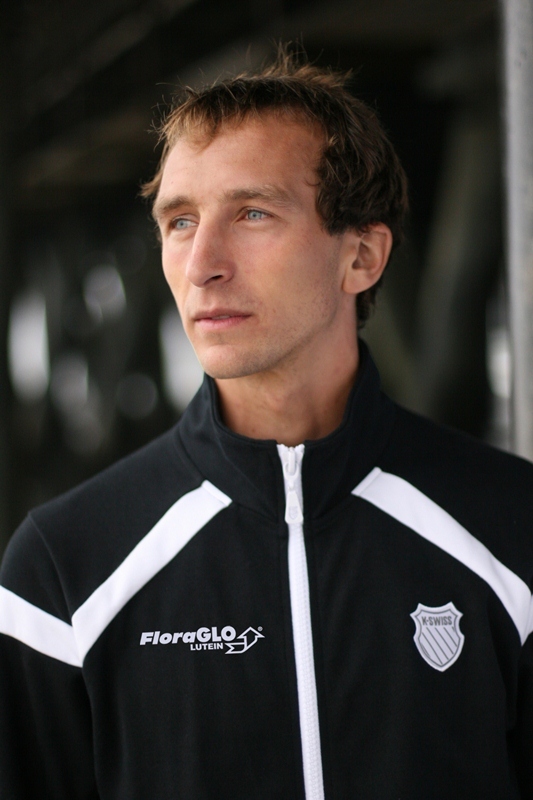 makers of FloraGLO®, the lutein brand most clinically researched and trusted, and recommended by more doctors*, announces today a partnership with blind National and World Para-triathlete Champion Aaron Scheidies, who will serve as a FloraGLO spokesperson to spread the word, through a variety of initiatives, about the importance of nutrition to eye health. Born with a hereditary eye disease that slowly deteriorates his central vision, Scheidies, 28, has overcome more in his short life than many conquer in a lifetime. After struggling early on to come to terms with Youth Macular Degeneration, he found solace in the sport of triathlon during his teens and turned his life around. Now, a five-time triathlon World Champion and seven-time National Champion in the Physically Challenged category, Scheidies only has 10% of the vision of a fully sighted person. To keep eyes healthy, research indicates that people need 10 mg of lutein everyday through foods/beverages and eye vitamins. Most Americans are only getting 2 mg or less through their diet alone. Fullmer adds, “Our mission is to educate the public about how important it is to replenish the lutein levels in our eyes on a daily basis. Everyday, our eyes are bombarded by harmful bright light and free radicals that deplete these levels leaving our eyes less well protected. In fact, nearly half of the US population has low levels of lutein in their eyes, a risk factor for age-related disease. Selected by leading eye vitamin manufacturers for its quality and established safety and research profile, FloraGLO is the most clinically researched lutein brand worldwide and the brand clinically proven to be absorbed by the body and to increase lutein levels in the eye for optimal protection. FloraGLO brand lutein (http://www.floraglolutein.com) provides the same lutein found naturally in vegetables and other foods to keep eyes healthy and functioning at their best. Aaron’s partnership with FloraGLO Lutein debuts today as the cover story for a special report on ocular nutrition in the Los Angeles Times, the nation’s largest daily newspaper. Aaron’s story will also be available online. Kemin Health, L.C. is credited with successfully commercializing lutein and significantly developing the eye supplement category under the FloraGLO® Lutein brand (http://www.floraglolutein.com), the leading and most researched lutein ingredient brand sold worldwide. FloraGLO brand lutein (http://www.floraglolutein.com) provides the same lutein as is naturally found in vegetables and other foods to keep eyes healthy and functioning at their best. It is the lutein brand trusted and recommended by more doctors* and is the brand clinically proven to be absorbed by the body and to increase lutein levels in the eye for optimal protection. Founded in 1961, Kemin Industries, Inc. (http://www.kemin.com) provides highly researched and highly effective functional ingredient solutions to all levels of the feed and food supply chains as well as to the global health, nutrition and beauty markets. Aaron Scheidies is a 28-year-old professional triathlete that was born with a hereditary eye condition that slowly deteriorates his central vision called Juvenile Macular Degeneration or Stargardt's disease. Competing in the sport of triathlon for more than a decade, Scheidies began with sprint triathlons and has continued up the triathlon pyramid with 70.3 and full Ironman races. 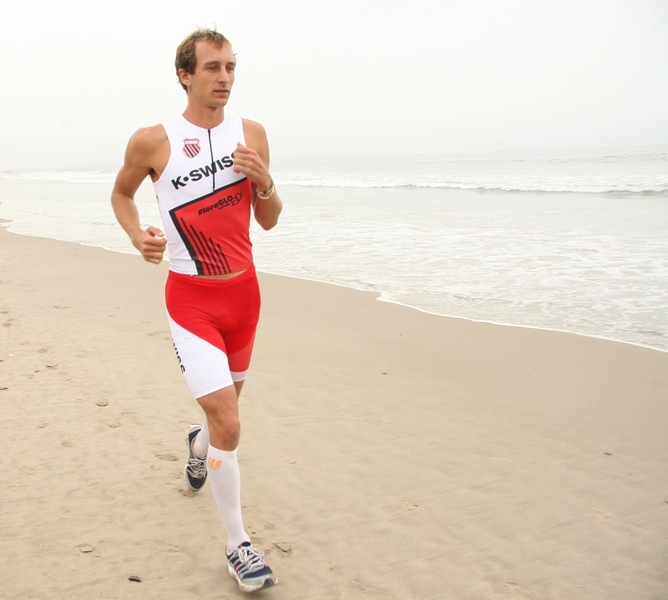 Using a guide during each race, Aaron has traveled around the globe competing in over 125 triathlons. 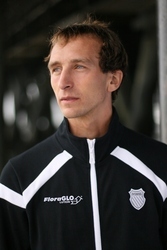 A graduate from Michigan State University where he started the triathlon club, Scheidies received his doctorate in physical therapy from the University of Washington and is now geriatric physical therapist with RehabCare. Scheidies races as part of the C Different Foundation and has stated movement called CDifferentwithAaron to break down barriers of visually impaired people. For more information on Aaron please visit http://www.cdifferentwithaaron.com or contact Carie Goldberg of Gold Standard Sports at (310) 709 7630 or carie@goldstandardsports.com. ®™ Trademarks of Kemin Industries, Inc., U.S.A.